The first online anti-bullying channel has been launched to encourage young people to denounce the intimidation. YouTube has set up a site where youngsters can post their own videos and messages. It follows growing concern about the increase in persecution by e-mail, mobile phone and on social networking sites, known as cyberbullying. The scheme is being launched at the start of anti-bullying week and is run jointly with charity Beatbullying. The Beatbullying YouTube channel aims to revolutionise how young people access information on how to avoid being bullied and importantly on how to avoid being the person who does the intimidating. It is the first anti-bullying partner channel on YouTube and aims to enable young people to post their own messages and videos as part of a wider campaign to stamp out the abuse. Beatbullying chief executive Emma-Jane Cross said: "We are very confident it will change people's lives. "It's so easy for a young person to become a bully online. It is easier to do something online rather than to your face. "But if you are being bullied tell someone because something can be done about it." Patrick Walker, YouTube's director of video partnerships for Europe, said: "We're very pleased to help them make the most of the internet in their campaigning and hope the YouTube channel is a real help to young people, families and teachers." The new channel will launch with a raft of celebrities' video messages. Boyzone's Ronan Keating said: "If you wouldn't say it to someone's face, then don't post it online." 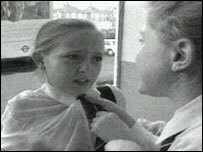 Girls Aloud said: "Happy slapping may be funny to you, until it is a member of your family sat at a bus stop being slapped." Long-time Beatbullying supporters - actress Kym Ryder and the Gossip's Beth Ditto - also appear on the channel with young people from Beatbullying's prevention programmes. They will give advice and demonstrate how the government's new peer mentoring schemes can beat the abusers. These schemes, which the government last week pledged £3m for, will involve older pupils being trained to step in to resolve conflicts and help victims.